Would 2014 Supreme Court Judgment change 498A Status Quo? The latest Supreme Court Judgment passed in case of Arnesh Kumar vs State of Bihar citing misuse of 498A and ordering absolute restrain on frivolous arrests in these cases has created quite a furor. People who have been victimized by this law and millions who would be at the altar of being harassed by this extortion tool have many views whether this judgment would be able to control the misuse or not. I initiated a debate on facebook and I am posting some of the selected comments here. Would help us in analyzing the impact in 2015 when we would have 2014 NCRB stats with us. I personally hope that this judgment has an impact and people use their right to question the police whenever there is a pressure arrest without an iota of evidence. Hope suffering reduces. QUESTION: How many people think SC directions would change the 498A status quo? RESPONSE: Categorized in Positive, Negative and Need More. Positive means people are convinced that the judgment will indeed lead to a great change. Negative means people are not sure/doubtful if this would change the situations. Need more means there are more things that people/government needs to do in order to tackle this menace. NEGATIVE: Shailendra: I don’t think its going to impact much after a few years..cos the police would have then found other ways to trap the parents and siblings in the cases. MIght not be direct 498a but they might start using 506 or 420 more and more. As the law evolves, so does corruption. POSITIVE: Manish Sharma: I am sure that the extortion in the police station will be stopped from now upto greater extent. So far problems have been that the people get arrested randomly in the night and day and especially during fridays evening so the court were closed during weekends and police get better way to negotiate and whole family have been going behind the bars if the negotiation dont work out and noone outside to look after bail sometime and even to think to get them out. Thats why people were forced majority of time for negotiations in the police station but now people would be aware if they get complaint against them and also if IO dont follow the process then people have to be ready to file complaint against them and we got to make them party too and thats the only way to bring them on the edge of sword! POSITIVE: Shikhar Gilhotra: 498a will be toothless but 376a/354 will cover it …i.e girls will start implicating these sections on her FIL/BIL. POSITIVE: Sandeep Singapuri: Certainly an Impact. POSITIVE: Kumar Animesh: I do agree, it will change..just to share an exp..my friend used to get calls from some police st in Bengol..PI used to ask this.fello to appear before him asap otherwisen FIR wd be registerred..post this verdict, I asked him to confront the PI,and there it goes..no more pressure calls…so it will ve a lasting impact. And I even told my frnd to record his conversation..enough to set up a departmental inq. NEED MORE: Uma Kiranam: SC directions will not change status quo. So, what will change status quo is not the SC directions. It is people using the directions to protect themselves that will make the difference. CrPC Section 41A itself was enough if people were going to learn how to use it. In fact, there are several tools to fight against legal terrorism. It is whether you use them or not that makes the difference. In the current example, the applicant for anticipatory bail used his right to go all the way up to the apex court. POSITIVE: Pankaj Agarwal: The honble SC has directed the decision to be sent to all home secys. Once the paper pushing is over, i am sure we will see a difference. Remember, this is not just a verdict, it has a manual in built. POSITIVE: Abhay Kumar: I am sure the impact will be significant on the on going cases, which are still in the complaint mode, but there will be chances of 498a coming into package with other deadly sections as stated above. POSITIVE: Raj Pandey: it’ll bring significant changes for sure. POSITIVE: Gaurav Sahrawat: I think so , it will go a long way to stop the menance. police has to find the safest answer to those 9 questions and based on what they find as the safest answer for those 9, it will tilt. POSITIVE: Hemendra Kulkarni: SC judgement is welcome step. However, lower judiciary, which is known for its rampant corruption & practices, will continue the 498a witchhunt ! SC Judgement no where makes Lower Judiciary accountable. 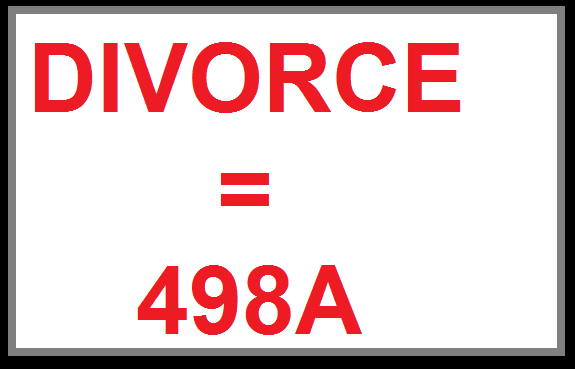 Chances of #498a escaping tighter scrunity mandated by judgement by going through JMFC route are quite real. NEGATIVE: ArkIng(Alias) : Practically, there wont be any change. Police is the one who submits the report to Magistrate. And you know better whats going to happen. 2ndly magistrate is the one who didnt give the bail to Arnesh upto HC. What the guidline given to HC by SC. I feel SC direction itself is the gr8 Joke to MAN. POSITIVE: Vinod Kapoor: We have not contained cops…the worst part is this only ….Contempt is long and arduous. 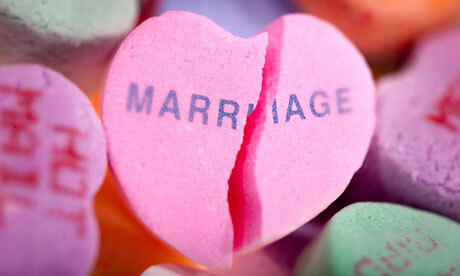 …who would do that …immediate redressal in each matter seems distant … till then cross fingers. NEED MORE: Ajhay Waghmare: Positive change will be seen only when there will be reverse punishment to the false complainant. POSITIVE: Grahak Jago(Alias) : If implemented in true spirit it should bring a change. NEGATIVE: Jitendra Sharma: I opine……police will have more time to extract more flesh..by displaying draconian sword………with immediate arrest…..fear did at times vanish.. NEGATIVE: Ratan Parija: I don’t think so , cause there still no particular definition of domestic violence , and the law can still be used to blackmail the family members . NEED MORE: Santanu Bera: Reverse punishment is must. Clause need to be added, whoever misuses the law will be also treated as a criminal for interfering with someone’s authority to lead a peaceful life. Or just make the law gender neutral. Then nobody will dare to put a false case. POSITIVE: Anand Pathak: Nothing will change until and unless one is not fully aware of this SC judgement…SC has at least done something good…people also should get fearless and start giving hard time to those police officers who try to misuse their power of arrest….let the fear go and counter police as hard as possible…yell at them about SC judgement, tell them that they are under scrutiny as well, one wrong move by them will land them in trouble…keep smiling and be confident….shoot letters beforehand and show them copies….now the fight is not that hard…SC has at least given us a breathing space and we have to make proper use of it…few policemen are send behind bars then more awareness will come and misuse will decline and police will think twice before doing anything illegal. NEGATIVE: Shammi Dang: No it is not going to change. The 9 points check list of 41A amendment can be moulded by the police in many ways where justification for the arrest can be given easily. One of the point is the accused if not arrested can destroy the evidence. It will only lead to more curruption at the police and the judge level minus the lawyers. The media hype what we see is just a “lollipop”. POSITIVE: Sumit Dubey: CrPC 41 is in place since 2010 amendment, but has been made transparent by this judgement by putting burden of justification on police n magistrate both. Since accountability is two in a box, I personally foresee the decline in blind institution of false cases. At the same time, corrupt always find their ways around it and will not blink from non-compliance if feeded with fat dose of Vitamin M. Misuse will completely stop only when there is more awareness, inclusion of misuse clause, and code is made compoundable.